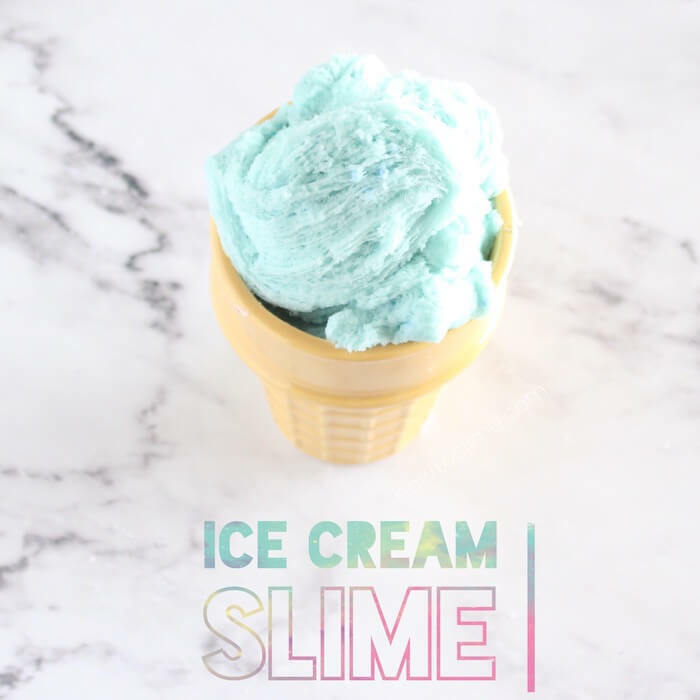 Would you like to make a type of slime that looks just like real ice cream and has the same texture but it doesn’t melt? Today I am going to show you how to make Ice Cream Slime. It’s really fun because you get to choose the flavors and toppings, just like with real ice cream! 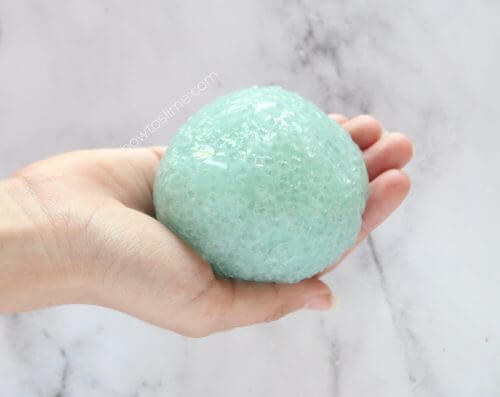 To make ice cream slime you are going to need Instant Snow, that’s because instant snow gives the slime a frozen look and a fluffy soft texture that holds its shape. To make this ice cream slime I used white glue, but you could also use clear glue to make a Sorbet or Icee Slime. What’s your favorite ice cream flavor? Red velvet? Vanilla? Or maybe chocolate or mint? You can create your own ice cream slime with a little of imagination. 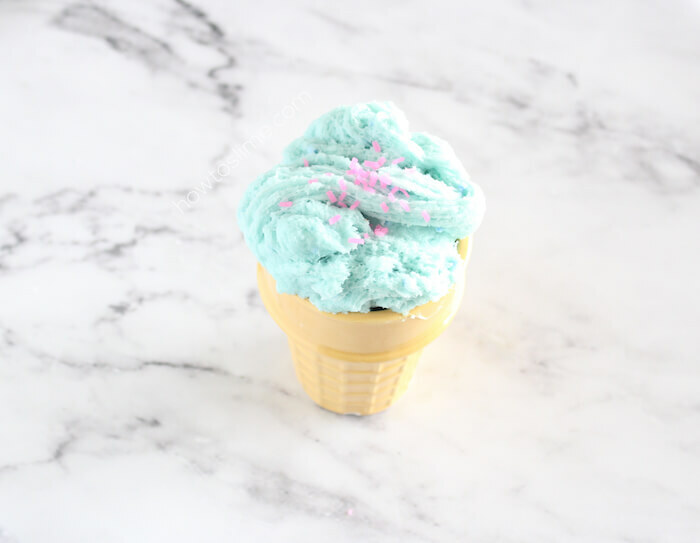 I made a blue raspberry ice cream with blue food coloring and pink sprinkles, but you are free to use anything you like and make your own creations! And you can also add some scent to match your ice cream flavor. In this link you will find another type of ice cream that I made: Birthday Cake Ice Cream Slime, check it out! 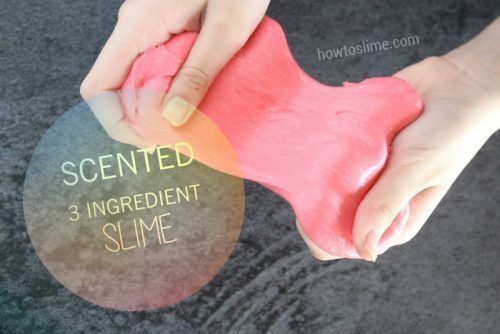 And if you need to know how to make scented slime, here is the recipe: How to make Scented Slime. Pour the white glue into a bowl and add the food coloring of your choice. Mix well. Add some of the Liquid Starch while stirring with a wooden stick. Keep adding activator and mixing the slime until it forms. 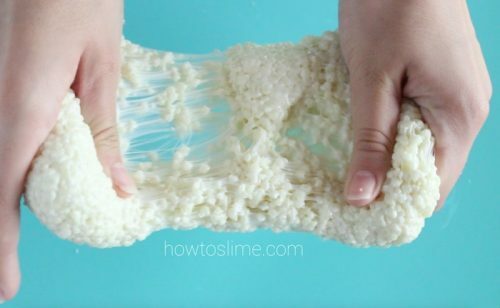 You can now use your hands to knead the slime. 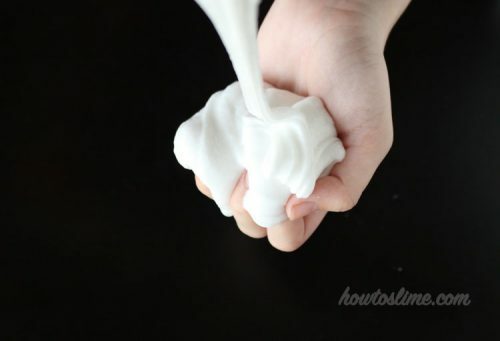 When making cloud slime you can over activate your slime so it becomes stiff. When adding the instant snow the slime will become sticky again, so don’t worry about the slime being too stiff for now. Make the fake snow by putting some of the instant snow powder into a bowl and adding a little of water. Don’t add too much water, just enough for the snow to form. When the snow is formed you can add it to the slime and start kneading with your hands. If it becomes too sticky, you can add more of the liquid starch. 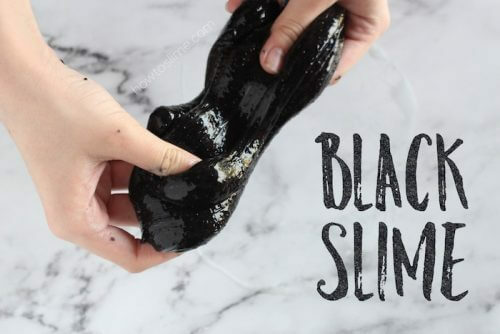 Keep adding snow and activator as needed until your slime is not sticky anymore. Use as much instant snow as you need to get the desire texture. Add some sprinkles on top!